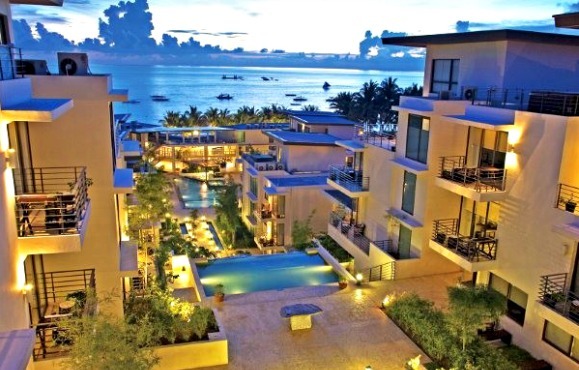 Five star resort hotel in Boracay receives a prestigious recognition from Travel + Leisure. Year after year, Discovery Shores, five star resort hotel in Boracay, has been proving itself to be the Philippines’ best luxury resort as it is consistently being recognized all over the world. The property’s sincerity in fulfilling its promise to always deliver a distinct brand of service has earned them another accolade to be proud of as it was recently named to the 2017 Travel + Leisure ‘World’s Best Awards’. Made for the purpose of delighting guests with unique and memorable experiences, Discovery Shores Boracay ranked 7th in the Top 10 Best Resort Hotels in Southeast Asia. The T+L World’s Best Awards survey was based on ratings from travelers all over the world and focused on service, location, facilities, food and overall value. An independent Filipino brand, the top resort hotel is the only Philippine property on the list and shared the prestigious recognition alongside top resorts hailing from Thailand, Vietnam, Indonesia, among others. Celebrating its 10th anniversary, Discovery Shores Boracay is known for its stunning location, authentic Filipino hospitality, and excellent brand of service fondly called “Service That’s All Heart.” It is also a dining destination through Sands and Indigo Restaurants – both serving a delightful menu of satisfying local and international dishes. The resort is also home to Terra Wellness Spa, a world-class spa that assures guests with ultimate rejuvenation and relaxation. Discovery Shores Boracay has recently been chosen as the Favorite Beach Resort Hotel by The People’s Choice Awards 2017 and received numerous recognitions from TripAdvisor such as the 2017 Traveller’s Choice Awards and Certificate of Excellence. It is also nominated in the 2017 World Luxury Hotel Awards under the following categories: Luxury Wedding Destination, Luxury Island Resort and Luxury Family Resort. Discovery Shores Boracay shares this achievement with The Discovery Leisure Company Inc.—the management company behind the distinguished Discovery brand of properties Discovery Suites, Discovery Country Suites Tagaytay, Discovery Primea and Club Paradise Palawan, and its owning company, Discovery World Corporation. Go to http://www.discoveryshoresboracay.com/discover/awards to discover the other awards and recognitions of this luxury resort in Boracay. Discovery Shores Boracay is an award-winning 88-suite luxury resort in Station 1 of White Beach. The beachfront property features the highly-acclaimed Terra Wellness Spa and well-loved restaurants Sands and Indigo. The resort is has been listed in Travel + Leisure Magazine’s World’s Best Hotels and is a regular awardee on TripAdvisor. Discovery Shores Boracay is one of five properties of The Discovery Leisure Company’s portfolio of distinctive hotels and resorts, and is a member of Preferred Hotels and Resorts Lifestyle Collection. Get updates through Discovery Shores Boracay’s official website at http://discoveryshoresboracay.com. About The Discovery Leisure Company, Inc. The Discovery Leisure Company, Inc. is a Filipino hospitality group that manages a collection of hotels and resorts in exquisite locations around the Philippines. Its distinctive destinations inspire authentic experiences for every traveler, from Discovery Suites Ortigas, Discovery Country Suites Tagaytay, Discovery Shores Boracay, Club Paradise in Coron, Palawan and Discovery Primea Makati. Travel + Leisure ® and ‘World’s Best Awards’ are trademarks of Time Inc. Affluent Media Group and used under license. From Travel + Leisure Magazine, August 2017 © Time Inc. Affluent Media Group. Used under license. Travel + Leisure and Time Inc. Affluent Media Group are not affiliated with, and do not endorse products or services of, Discovery Shores Boracay Island.